Hello, single life! Kylie Jenner and Tyga have split again, Us Weekly can confirm. The couple first broke up in November 2015, around Tyga’s 26th birthday. At the time, the Kylie Cosmetics founder, 18, deleted all mentions and pictures of the “Rack City” rapper from her Instagram account, aside from one snapshot from her mom Kris’ Great Gatsby–themed 60th birthday party. 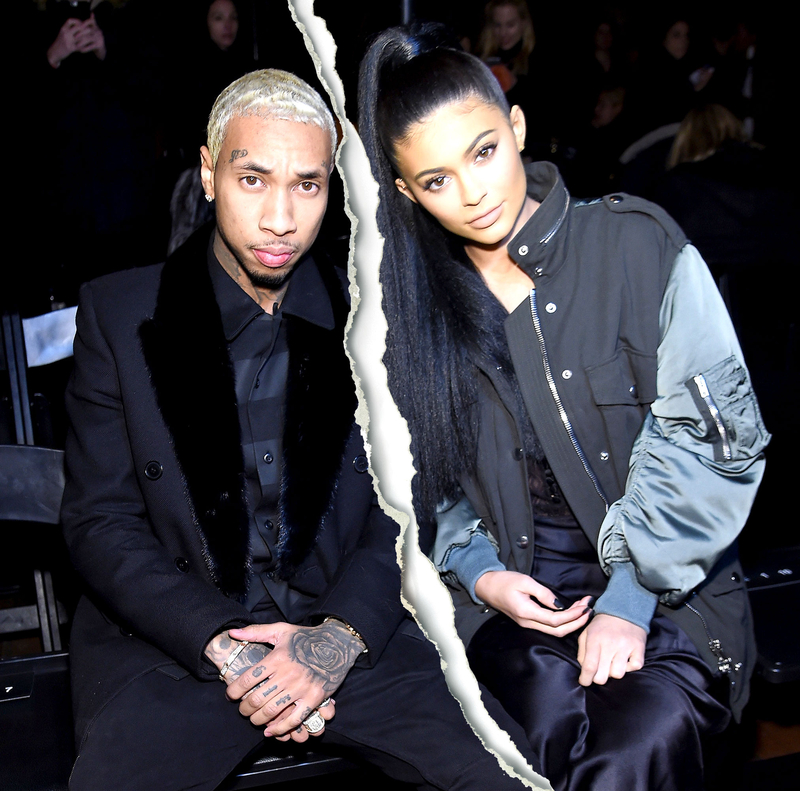 The pair’s problems seemingly played out on the February 14 episode of Keeping Up With the Kardashians, in which an inconsolable Kylie shared that she and Tyga had hit a rough patch. The makeup maven and Tyga were rumored to be an item as early as October 2014, when Kylie was still 17. They went public with their relationship in late 2015, after Kylie&apos;s 18th birthday. Incidentally, the duo’s latest breakup comes on the heels of Rob Kardashian and Blac Chyna’s recent engagement and pregnancy announcement. As previously reported, Rob, 29, and 28-year-old Chyna (Tyga’s ex-fiancée and mother of his son, King Cairo, 3) have created a complicated family dynamic for the Kardashian-Jenner clan. Although Tyga congratulated Chyna on her pregnancy with an Instagram comment, Kylie has yet to publicly acknowledge the fact that her older sibling is expecting a baby with her now-ex-beau’s former flame.